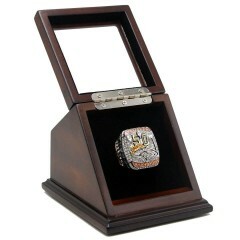 Denver Broncos are a professional football team of U.S.A based in Denver, Colorado. 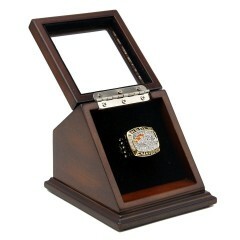 The Team owned by Pat Bowlen in 1960. 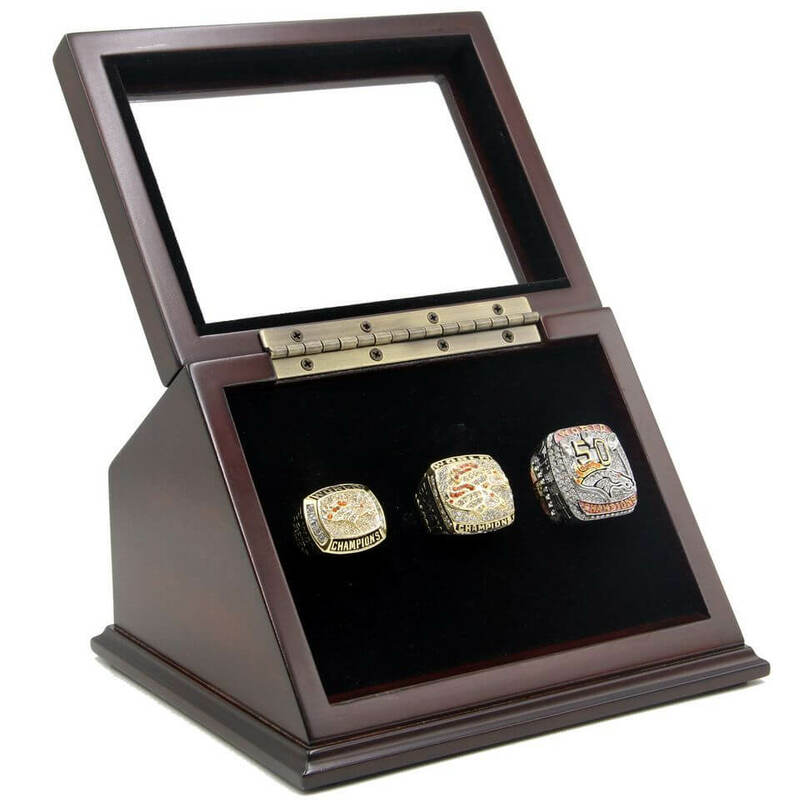 As a member of the NFC (National Football Conference), Denver Broncos won eight AFC Championships, and three Super Bowl championships. 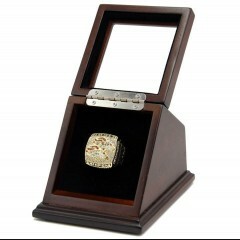 The first Super Bowl championships was in Super Bowl XXXII 1997 season, and defeated Green Bay Packers by 31:24. 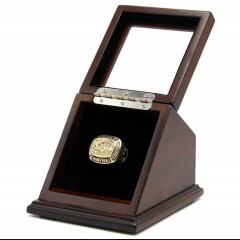 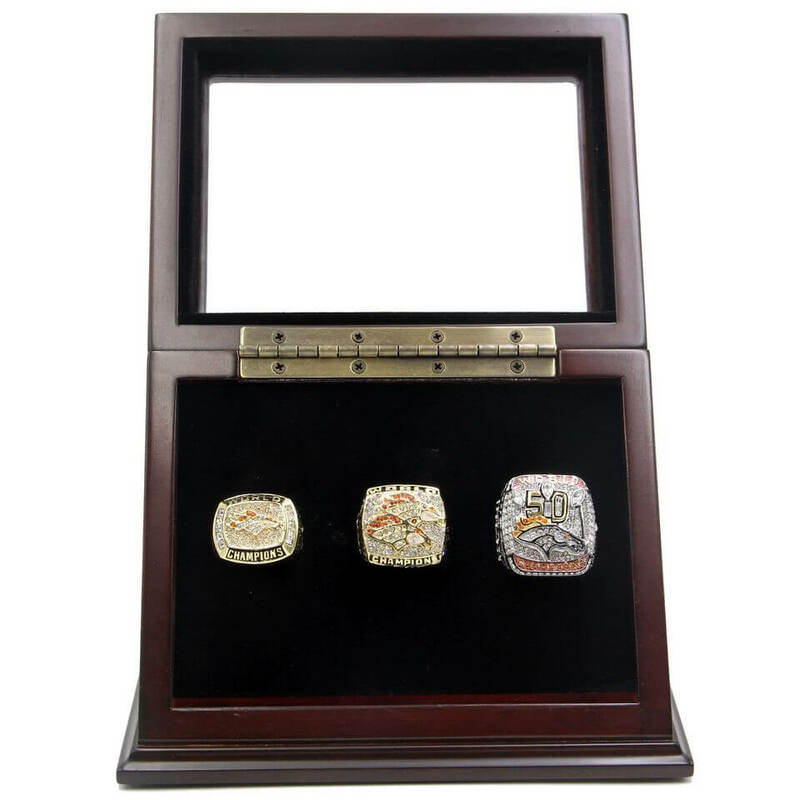 This set also includes a beautiful wooden display case with slanted glass window to make the rings display with pride. 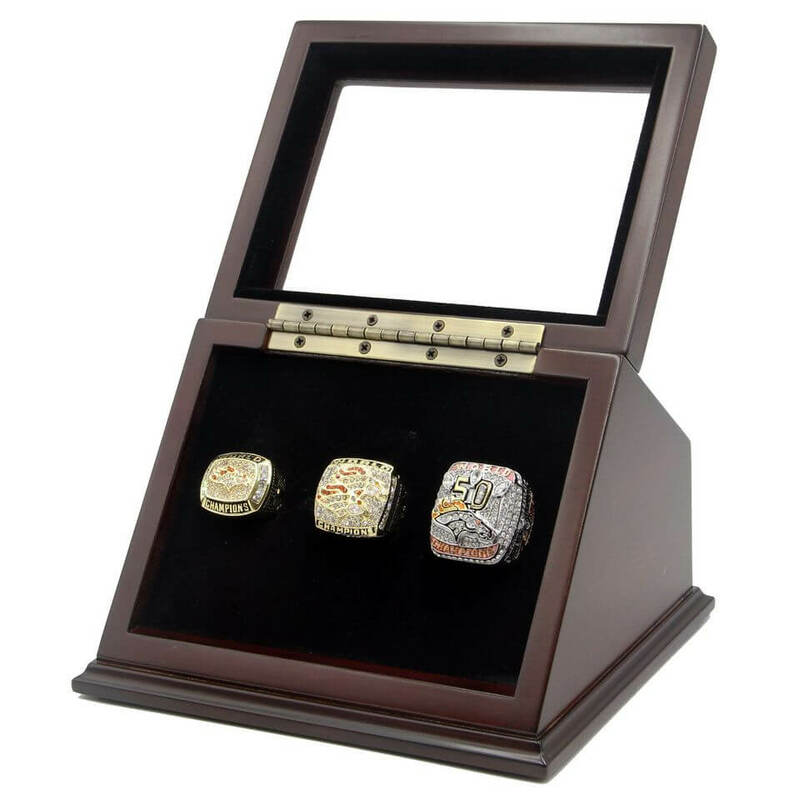 It is a unique and a great gift to your friends and families, and this is a truly one of a kind item that would stand out in any Denver Broncos football fans collection. 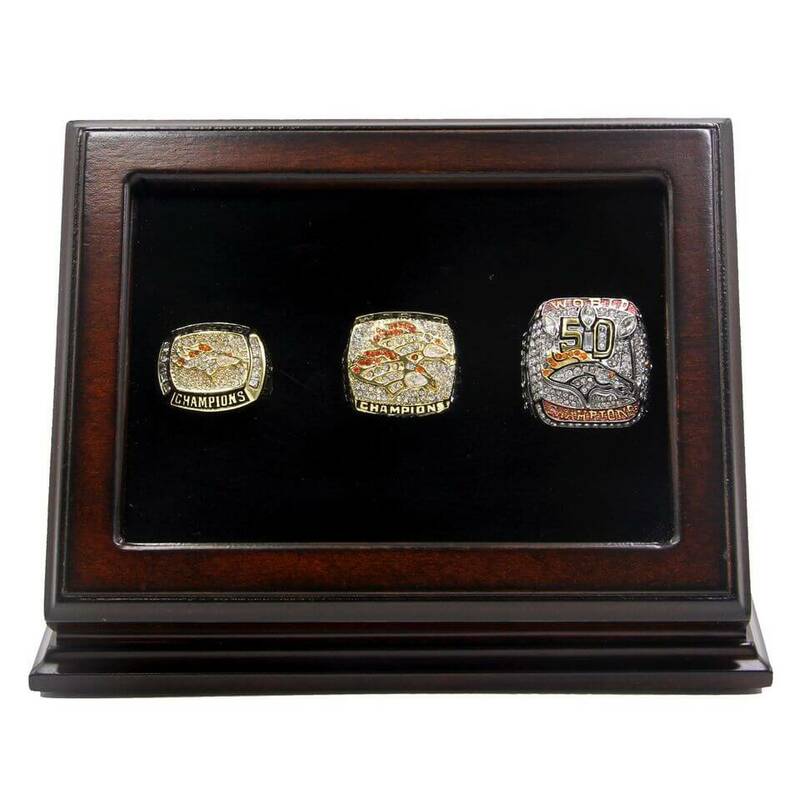 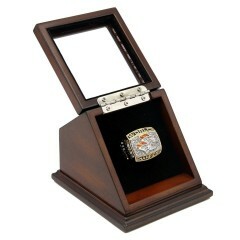 NFL 1997 Super Bowl XXXII Denver Broncos Championship Replica Fan Ring with Wooden Display Case remi..